‘Public memory’ refers to meeting notes kept visible to the whole group the whole time. Butcher’s paper, sticky notes and data projectors all help achieve this. The list below is is a very slightly modified version of a classic article by Ned Ruerte. It only looks like a set of tips. Check it out, looking for the underlying framework. Even if you have no other processes, this should help a lot. Work on one issue at a time. Enable the group to word the issue. Write it down and hang it on the wall. Agree on how to work on that issue. Tap the group wisdom for how to work before offering your own process. Write it down and hang it on the wall. When someone offers an idea, write it down and hang it on the wall. If they offer it repeatedly, point to where it is written down and hanging on the wall. If someone attacks a person for a ‘dumb’ idea, ask them where the idea is written down and hung on the wall. Move to it. Move the discussion to the idea, away from the person who offered it. If additions, qualifications, pros & cons, or clarifications are offered, write them down and hang it on the wall. When the group is discussing, voting on, or coming to consensus around a solution, write it down and hang it on the wall. When the group moves away from the agreed issue, go to where you wrote it down and hung it on the wall. Call their attention to it, and give them the choice to change the issue. Go back to the one they agreed to and show how this one affects the one they agreed to. Put a time limit on the digression. Whatever they decide, write it down and hang it on the wall. 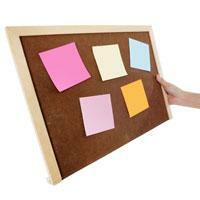 When the group moves away from the agreed process, go to where you wrote it down and hung it on the wall. Call their attention to it, and give them the choice to change the process. Go back to the one they agreed to and show how this one affects the one they agreed to. Put a time limit on the digression. Whatever they decide, write it down and hang it on the wall. When someone says, “We ought to…” find out who will. Write it down and hang it on the wall. Before closing, decide when the group will get back together. Write it down and hang it on the wall. You may or may not agree with all of Ned’s list. You might have other ways of achieving the same ends. You may have other examples or things to add. What’s your experience of enabling the group’s public memory? What’s your take on the principle Ned is pointing to? David Jago has more than 30 years experience in enabling effective participation and collaboration in the public, private and community sectors. He has worked in both urban and rural contexts, across Australia, East Timor and India. He uses the Technology of Participation™ (ToP) as the engine for his work as a certified ToP facilitator, an authorised ToP trainer and a qualified ToP assessor. His business, Smart Meetings, has been going since 2004. David Jago has written 6 articles for us.